Three new fitness trackers have joined the Fitbit line-up as the company confirmed the devices that were leaked last week. 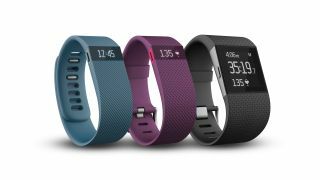 The Fitbit Charge, ChargeHR and Fitbit Surge will be priced £99/ $130, £119.99/$150 and £199.99/$250 respectively. The Charge will be available to buy from November 17 in the UK with the ChargeHR and Surge following in early 2015. The Charge and ChargeHR take over from the ill-fated Fitbit Force that had to be recalled earlier this year because of skin irritations suffered by some users. The Fitbit Surge is a smartwatch-like device the company is referring to as a "super watch". Each device will measure the usual fitness metrics, as well as sleep tracking and, in the case of the Surge, location via GPS. The Fitbit ChargeHR and the Fitbit Surge both use the company's PurePulse technology to measure your heart rate. Small LEDs on the underside of the bands detect blood volume changes as you exercise and, using Fitbit's algorithms, relay your heart rate in real time. Is the Apple Watch's biggest problem that it does too much?